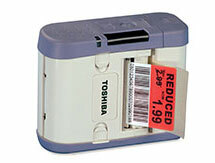 TOSHIBA TEC store is your NUMBER ONE resource for direct supply of GENUINE ORIGINAL Toshiba TEC Barcode Printers, Thermal Ribbons, Print Heads, Parts and Maintenance Support. TOSHIBA TEC store also includes a comprehensive listing of replacement user manuals, expanded parts guides and the latest Toshiba print drivers etc., all available for free download. 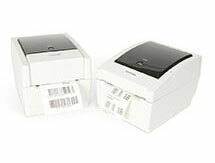 Why choose a TOSHIBA TEC Barcode Label Printer? No software changes are required. Just install the printer and start working. 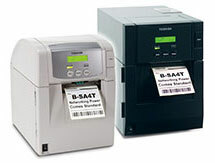 Toshiba developed its Z-Mode technology, which enables Toshiba printers to work with ZPL II® data streams. Additionally, Intermec, Datamax, or Eltron operating languages can be supported. 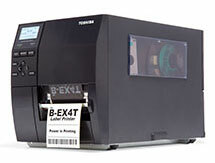 For easy connectivity, Toshiba printers have a range of interfaces for fast integration into any system. LAN is standard on most of the Toshiba range. Toshiba products are designed and produced of such high quality that they can last a lifetime. 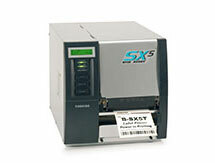 Our technology and tools, such as the ribbon save function, enable you to use less ribbons and to replace the thermal print head less often. 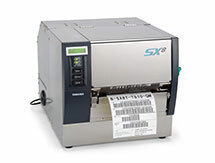 This means we not only relieve pressure on the environment, but also on your wallet thanks to the lower Total Cost of Ownership of our machines. The Toshiba ribbon save function allows you to print more with the same length of ribbon: you can save up to 75 % of your ribbon usage. 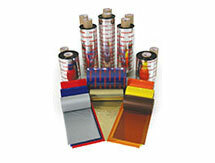 What�s more, by using Toshiba�s extensive range of ribbons, the print head warranty can extend up to 100 km*. With over 20 years experience in the Auto-ID market, Toshiba is one of the only manufacturers that still designs and manufactures its own products. Using a �voice of customer� approach to development, Toshiba creates, designs, tests, manufactures, installs, and maintains the complete range, guaranteeing consistency and long-term reliability. Toshiba is committed to the design and production of products that reduce environmental impact, creating environmental quality standards for each product and prescribing them with the highest levels required by the industry. * Print head warranty depends on the printer model. 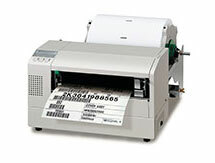 Refer to the printhead warranty page for more information. Each printer page provides model specific listings of accessories, parts, consumables (ribbons & print heads) and support media, ensuring easy selection & compatibility with your printer.